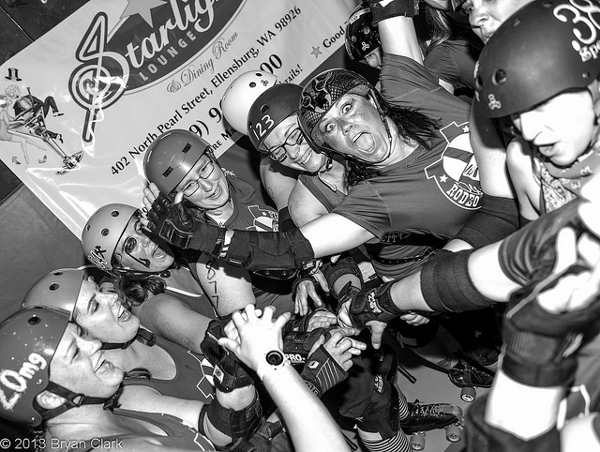 The Rodeo City Rollergirls had an awesome time with the Willamette Kidney Thieves & the Gorge Roller Girls! Thank you all so much for coming out to play with us! The final score for Bout #1 was Rodeo City’s Beauties 179 to Willamette Kidney Thieves 162. The final score for Bout #2 was Rodeo City’s Posse 229 to Gorge Roller Girls 139. The Kidney Thieves voted Cat-a-ma-Ram as the Beauties MVP! Gorge voted Trouble EnparaDDDz as the Posse’s MVP! We appreciate all the fans, sponsors, and volunteers who help make this roller derby thing we love happen in Ellensburg!! !